A recent single-vehicle accident in Hinds County claimed the life of one woman. The crash happened in the afternoon when the driver lost control of her vehicle and hit some trees that were near the road. Unfortunately, the driver of the vehicle was not wearing her seatbelt, and she was ejected from the vehicle. Unfortunately, the outcome of this single vehicle accident is not uncommon. Single car accidents are actually more deadly than other types of accidents. Approximately sixty-five percent of all fatal automobile accidents involve a single vehicle. Fatal single-vehicle wrecks are also the most difficult type of accident for accident investigators to understand. The reason why it’s so hard to figure out what happened in a fatal single car crash is that the person who had the most information about what happened before and during the accident is dead. Although the cause of any given single-vehicle accident can be hard to determine, there is a lot of information available on the more general subject of preventing single vehicle crashes. One of the leading causes of single vehicle accidents is alcohol use. A typical single-vehicle accident scenario involves a vehicle that leaves the roadway and either goes over an embankment or hits a tree. When a person drinks alcohol, their reaction time is slower than normal, and their judgment and depth perception are diminished. When a driver operates their vehicle while under the influence of alcohol, they can easily misjudge a curve in the road or miss the chance to make a course correction in time to avoid an accident. Refraining from alcohol use before and during driving significantly reduces a driver’s risk of being involved in a single-vehicle accident. Avoiding alcohol is a fairly obvious way to reduce accident risk, but what about driving while tired? Many more drivers drive while they are tired than drive after consuming alcohol. However, studies have shown that tired drivers drive a lot like drivers who are under the influence of alcohol, and they are often involved in single-vehicle accidents for that same reason. Getting the sleep that you need is one way that you can decrease your risk of being involved in a single vehicle wreck. However, even drivers who begin a drive well rested can experience fatigue after they have been driving for hours. If you are driving and you get tired, take a rest break before you continue on your journey. Distracted driving and speeding are other top causes of single-vehicle accidents. It is easy to understand why this is so. Distractions or excessive speed take the driver’s focus away from the road and deprive them of those valuable seconds of attention that they may need to successfully avoid an accident. All of the leading causes of single vehicle accidents have one thing in common. They involve driver choice. This is good news for drivers because it can empower them to make decisions that could reduce the chance that they will be involved in a single-vehicle accident. The Mississippi Car Accident Injury Attorneys at the Giddens Law Firm, P.A. 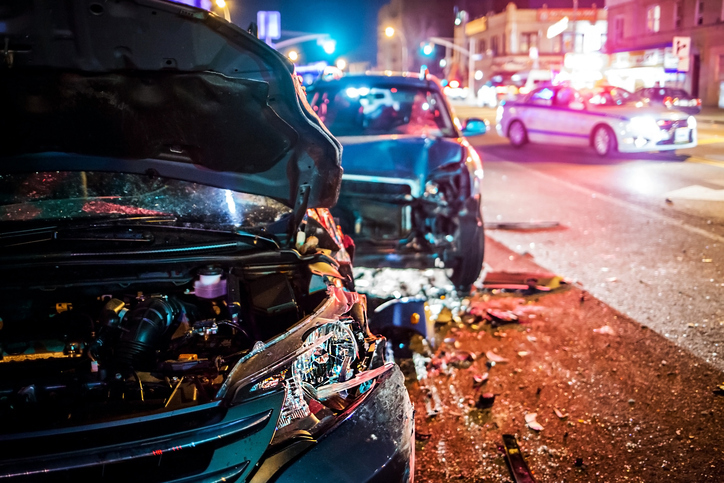 can help you pursue a claim for damages in your automobile accident case. To learn more, please call our office today, at (601) 355-2022. NFL Concussions Settlement - Opt In or Out?